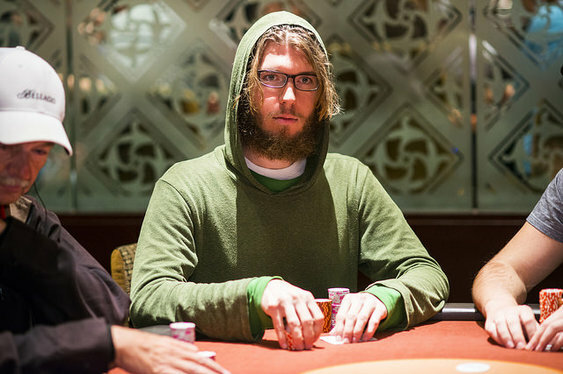 With tournament season in Las Vegas starting to reach fever pitch, one of the game's best known online upstarts, Andrew 'Lucky Chewy' Lichtenberger, has managed to start his summer off with a bang. Following in the footsteps of Max Silver who took down the first Aria $25,000 High Roller late last week, Lichtenberger achieved the same feat but against a slightly smaller field. Using the same set-up and entry fee, the Aria hosting a second $25,000 over the weekend and when the betting was over it was Lichtenberger who stood victorious. Among the 38 luminaries that lined up for a shot at greatness were the likes of Bryn Kenney, Sorel Mizzi and Kyle Julius. However, by the time the final table rolled around it were Lichtenberger and Mr. Erik Seidel dominating the action. After pushing their way through a ridiculously stacked final table, which included Paul Volpe, Dan Smith and Justin Bonomo, Seidel and Lichtenberger found themselves fighting for the title and just over $400,000. Both sensing each other's strength and keen to cut a deal, the two took around $360,000 and left just over $38,000 on the table to make things interesting. As the action began it was Lichtenberger with the slight advantage and, as dawn began to break, he eventually closed out the match with Ks Jc. Having watched Seidel make a move from the small blind with Qc 8c, Lichtenberger knew it was time to bring the hammer down and, after taking a second to ponder his options, he made the call. As the board rolled out Qd Td 5c it was Seidel who took the lead. However, after the 6c and Ah feel on the turn and river it was Lichtenberger's straight that claimed the pot and sent the remaining prize money into his hands. After the event, the American pro spoke to Pokernews and explained that it was incredible to have "a nice score right off the bat."